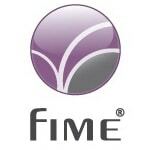 NFC testing specialist Fime has achieved NFC Forum accreditation for its test laboratory in France. This allows Fime to conduct the tests that confirm a device’s compliance with the NFC Forum’s technical specifications that must be completed before it can be granted certification from the industry body. This then entitles the device manufacturer to display the NFC Forum Certification Mark on their websites, manuals, marketing and packaging materials to denote compliance and therefore compatibility. Pascal Le Ray, CEO at Fime, said: “It is an exciting time for the NFC marketplace as we see more and more contactless applications being deployed. To guarantee the longevity of this technology, however, we need to ensure that certain standards are established and maintained to create a secure, workable and sustainable infrastructure. “Interoperability between NFC devices is key and the NFC Forum Certification Program gives increased assurances that certified products are compatible. 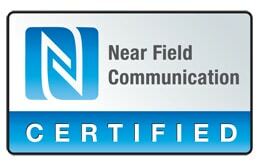 Last month the NFC Forum approved a second NFC test equipment solution, the Integri NFC test solution from Clear2Pay. The approval of Clear2Pay’s test solution means that NFC device makers now have the choice of buying in testing equipment from either existing supplier AT4 Wireless or from Clear2Pay. They also have the option of submitting their products for testing at one of fifteen NFC Forum Authorised test labs around the world.